It’s also pretty certain that you’ll need more than one tool, which is where your martech stack comes in. A martech stack is essentially a set of technology tools that enable you to meet your marketing goals as efficiently as possible. It’s not easy to create an optimal martech stack. Different companies will have different needs, and there are many similar solutions available from different vendors – all of which may or may not integrate with each other and any other software you’re already using. But by carefully planning your martech stack, you can better organize your data, manage your marketing campaigns, and ensure that your budget is being used wisely on activities with the highest ROI. Be clear on your objectives before considering whether you can use martech to achieve them. There are around 7,000 martech solutions available today that fit into six categories. Martech should enable a multi-channel customer experience. Your data should be centralized while your martech tools should be integrated with each other. 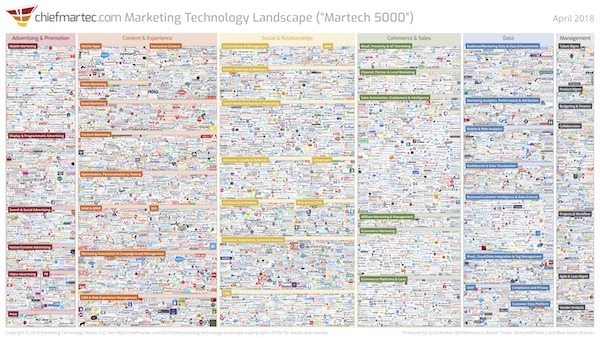 It’s estimated there are over 6,800 marketing technology solutions available from over 6,200 vendors, so how on earth do you know where to start? It’s not only important to choose the right software solutions for your business, but also to choose the right mix. 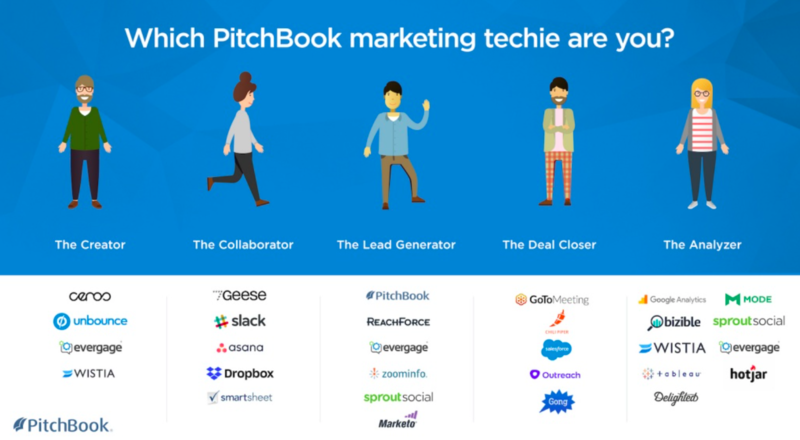 One of the core ideas of the martech stack is that each tool should integrate and interact with the others you’re using to drive your marketing success. Choosing the wrong tools can be a costly mistake. 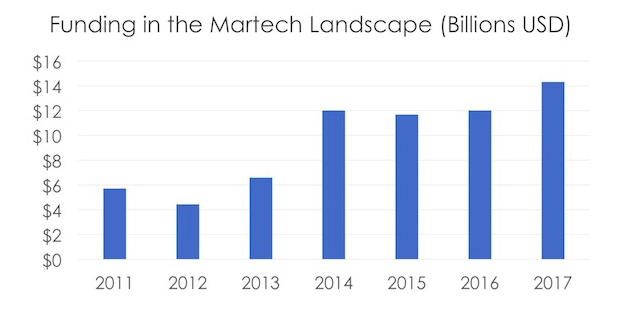 Martech spend increased to almost a third of the average marketing budget in 2018. Used on the right tools, this would be considered money well spent. However if money went to solutions that were a bad fit for the organization and their workflow, this would mean not only a direct loss of the capital spent on the technology, but also the lost sales and loss of efficiency that may have been achieved with a better software solution. So how do you make sure to pick the right martech for your business? It starts with being clear on what exactly you want to achieve and how you hope technology can assist you with this. While tools can help you carry out many aspects of your marketing plan, they don’t replace the strong foundation of a solid marketing strategy. You can’t compare software solutions or assess how well they will meet your needs if you don’t know exactly what those needs are. A business targeting a demographic of consumers aged 25-35 with an average $50 purchase history will have very different martech needs than a global B2B company dealing with C-suite executives, for example. What size is your customer base? What geographical area are you marketing to? Once you have clear answers to these questions, and understand better how your teams work within your marketing strategy, you’ll be able to identify where you can make improvements and choose technology solutions that can assist you in enabling your strategy. What Makes Up a Marketing Stack? All of the almost 7,000 martech solutions available today fit under one of these categories, with some spanning several categories. Whatever the size of your business or who you market to, lead generation is sure to be a key part of your marketing strategy. But while it’s a critical activity, it’s not easy. In fact, generating traffic and leads was defined as the top marketing challenge by over 60% of respondents in a HubSpot research study. Once you’ve got people to your website or persuaded them to sign up for your newsletter or a software demo, the challenge is keeping them interested in what you have to offer. Building a successful marketing strategy means continuously monitoring, analyzing data, and optimizing your campaigns and marketing activities based on that data. You won’t always create marketing campaigns that are a huge success from day one. But with the power of data and an optimization plan in place, you can improve your campaigns over time as you learn more about your audience. Conversion rate optimization tools (A/B testing, AI-powered, or a hybrid). So you know how your martech stack can be broken down into categories and the sorts of technology solutions that may be included in each category, but what else should you consider when building your marketing stack? Integration – your tools must work well together and integrate with your existing technology. For this reason, building a marketing stack should not just be the job of the marketing team, but also the IT department. Whatever your needs, it’s vital to work closely with IT to choose the most appropriate tools and ensure they can be deployed with minimal disruption to normal business activities. Centralized data – an important part of integration is ensuring that tools don’t duplicate data or use different data sources for their operations. Ideally, there should be a single centralized data collection point, which feeds into all your martech tools to ensure data integrity. Real-time processing – in today’s fast-paced world you can only succeed if the data you rely on for marketing is constantly updated. Using real-time data means you can meet your customers’ needs more quickly. Multi-channel experience – unless you’re in the unusual position where your customers are only in one place, you’ll want to make sure that your martech stack allows you to engage with them across multiple platforms with a series of interactions that are fully integrated. Good tools should help you to identify the best time and place to reach each individual customer. Data insights and analysis – in order to make the most out of the tools at your disposal and understand where to focus your efforts, you need to rely on the data-driven insights provided by your martech stack. This might include calculation of ROI for different campaigns, lead scoring, or any other kind of data analysis. Scalable and flexible – whatever technology suits your business now, it should adapt and change with you and your marketing strategy. Low-tech simple solutions might suit small businesses but they rarely scale well as these businesses grow larger. Always keep the future in mind and consider how you can adapt and change your martech stack to fit. 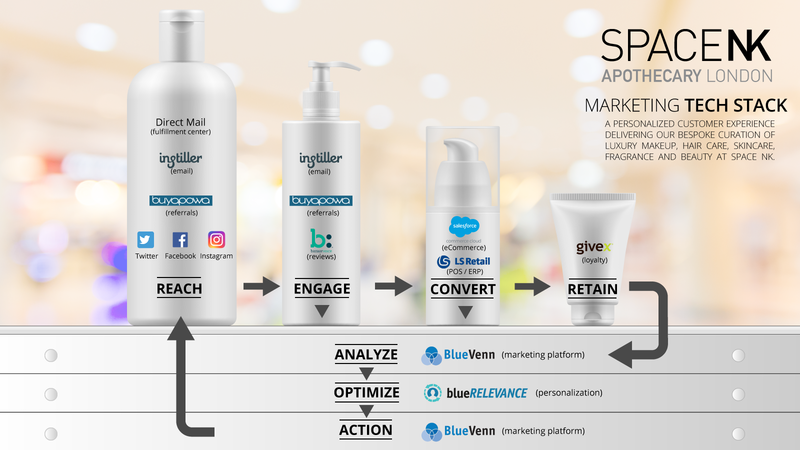 So now that you know what a marketing stack looks like and understand what goes into one, it helps to solidify the concept by looking at a few real-world examples. Every year, chiefmartec.com hosts The Stackies – an awards program in which marketers are invited to send in a visual representation of their marketing stack. The entries are an interesting insight into how brands across all industries build their marketing stack. For example, networking technology company Cisco uses a wide variety of solutions for lead generation including its own solutions – the Webex video conferencing and business intelligence platform, Impact. Intelligent content is supported by platforms including Cisco Spark, Adobe Creative Cloud, and Brightedge. Design automation is managed by tools including 6Sense Insights and Google Analytics 360 Suite. London based luxury beauty retailer Space NK identifies Twitter, Facebook, and Instagram as its main social media platform. It uses these alongside Instiller email marketing software and BuyaPowa referral software to reach and engage with customers. 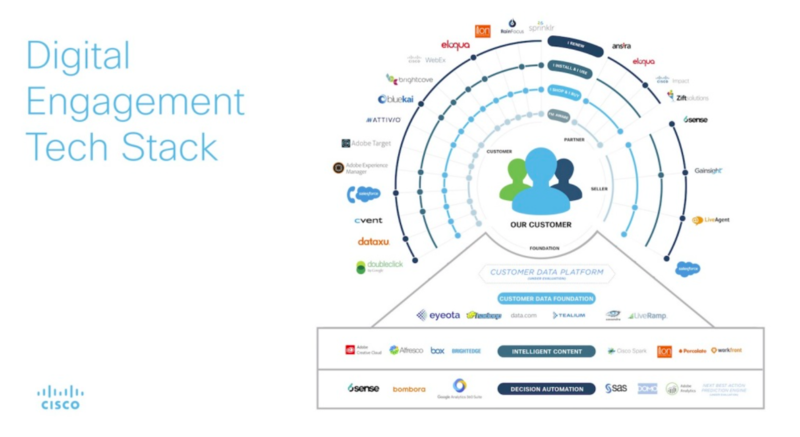 Salesforce’s Commerce Cloud is used to convert leads into paying customers, and BlueVenn and BlueRelevance are used for analysis, personalization, and customization. 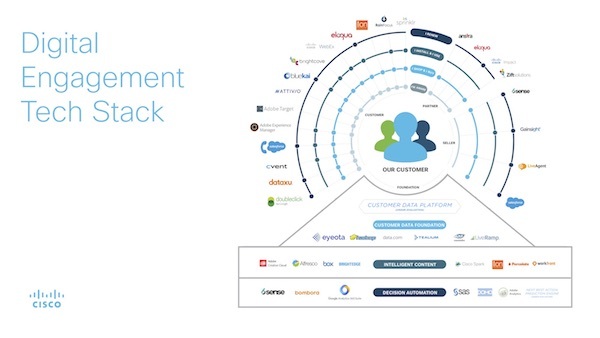 While it’s certainly fascinating to see how other companies have built their martech stack, it’s important to remember that there’s no one-size-fits-all solution. Every business must build their own unique martech stack to suit their individual needs.